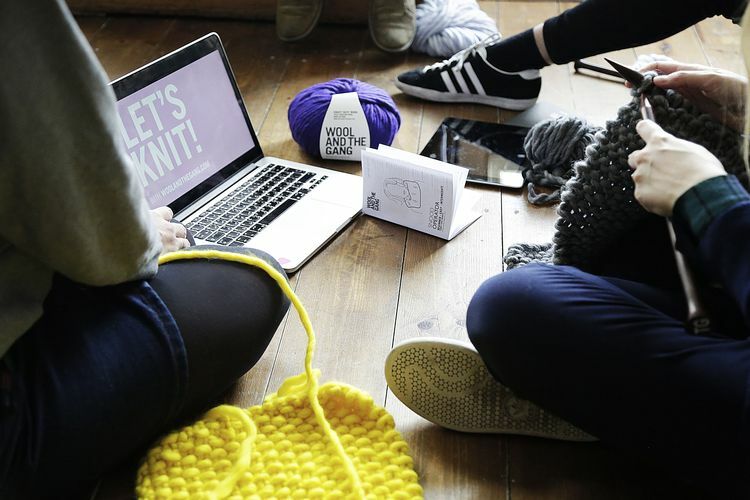 Exeter SETsquared member, Crowdcube an online crowdfunding platform, has announced that equity investors have received their third return in 12 months following the acquisition of disruptive global DIY fashion brand Wool and the Gang by BlueGem Capital Partners. Since 2013, more than £5 million has been returned to investors on Crowdcube following the sale of Camden Town Brewery and E-Car Club, which sold to AB InBev and Europcar respectively, as well as bond interest repayments. London-based Wool and the Gang empowers customers to produce fashion at home with their easy-to-follow, fashion forward knit and crochet kits. Dedicated to great design as well as championing DIY, Wool and the Gang has fuelled a new generation of makers. With products available direct from their online store and in major retailers including John Lewis, Selfridges and Asos, it raised over £1 million on Crowdcube after 492 crowd investors backed the business alongside existing venture capital investors, which includes Index Ventures and MMC Ventures. Investors will receive their initial investment back plus a 5% return or a Wool and the Gang gift voucher, which would give them a 20% return on their investment. E-Car Club was the world’s first crowdfunded company to provide investors with a multiple return on their investment to the 63 investors who helped the UK’s first entirely electric car sharing club for businesses and communities, to raise £100,000 in 2013 following the sale of the business to Europcar, Europe’s leading car rental and mobility company. Camden Town Brewery was sold to AB InBev in December 2015. It has raised £2.75 million from 2,172 investors, overfunding its £1.5 million target by 183%. Investors shared 5.37% equity in the famous London brewer of Camden Lager valued at £50 million. The largest investment was £150,000. The acquisition of Wool and the Gang, Crowdcube’s third funded business in 12 months to deliver investors a return, is yet another indication of how the crowdfunding industry is maturing and the diversity of returns that crowd investors could receive.